I have been practising NAET since becoming a certified practitioner in 2008. NAET is a revolutionary approach to the elimination of allergies pioneered by Dr. Nambudripad from her own personal experience of overcoming allergies. At one stage she was only able to tolerate three foods in her diet until one day she discovered, entirely by accident, a technique by which to overcome her intolerance. She was peeling a carrot when she suddenly collapsed. Her husband who was a trained therapist, managed to revive her with the use of certain techniques involving pressure points and meridians (energy channels) in the body. Throughout the process, Dr Nambudripad was still holding the carrot and when she came round she discovered that she no longer had intolerance to carrots. From this experience she came to realise that if one maintained contact with an allergen whilst certain pressure points and meridians in the body were worked on, an allergy could be reversed. In time she had the insight that intolerance to any given substance usually stems from a time when the body was exposed to the allergen in conjunction with stress. In an effort to protect itself the body sets up an alarm system in the form of an allergic response. There is anecdotal evidence to support this theory following the 9/11 disaster in New York. When the news of the disaster broke, it was morning in America. Most people were eating wheat based breakfast cereals. Afterwards it was reported that the incidence of wheat allergy in America had doubled. Dr Nambudripad conducted research over a period of 15 years which eventually resulted in the method for diagnosing and treating allergies of all types known as NAET. Her breakthrough moment occurred when she attended a course on electromagnetic fields and acupuncture. She realised that everything has an alectromagnetic field and sometimes these fields are repellent to each other. If the body is repellent to a specific thing such as an item of food or something in the environment, an allergic response can result. She observed that acupuncture could be used to reverse the adverse charge of the allergen to match the body. 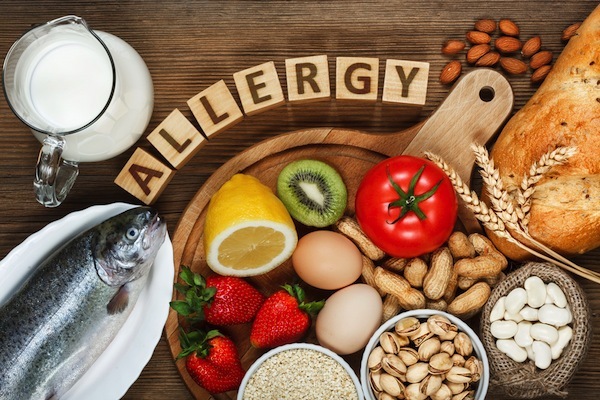 Using this knowledge she then developed a method to reverse allergies using acupressure and acupuncture points on the body in conjunction with exposure to the allergen. Unlike acupuncture there are no needles involved. Instead the relevant gate points of the meridians are stimulated with a battery operated device whilst the client is still in contact with the allergen. Babies and children too young to be treated on their own can be treated using a surrogate. There is further information on the web site: www.naettraininginstitute.com including video footage of how a treatment is carried out (under “desktop”). Following a course of NAET treatments many sufferers of chronic illness have found that their symptoms completely disappear. Dr Nambudripad has written several books on the subject. In her book entitled “Say Goodbye to Illness” (2002) she quotes many examples of such case histories. She has also demonstrated the successful treatment of autism and A.D.H.D. in children in her books “Say Goodbye to Autism”(1999) and “Say Goodbye to A.D.H.D.” (1999). “A year ago my life was extremely restricted due to my extensive range of food intolerances. I no longer regarded eating as a pleasure. It felt like a constant battle where I continually had to explain myself and make excuses. I couldn’t eat out and I couldn’t accept dinner invitations from friends. It was virtually impossible to buy anything ready made whether in the supermarket or even in a health food shop. I am a vegetarian and had intolerances to dairy, onions, and nightshades (potatoes, tomatoes, peppers, chillies and aubergines) Sunflower oil also affected me particularly badly. Eating any of these things caused painful inflammation in all my joints’ soft tissue, and made me feel as though I was wading through thick treacle, constantly exhausted. When I met Melissa and discovered what she did I immediately booked my first treatment. It was a total success and we went on to clear all my intolerances over the following weeks. I found the treatments to be gentle and non intrusive, involving pressing on meridians and energy points, in conjunction with the use of breath. I remained clothed and lay on a massage table. Although I now eat these foods in moderation, my life has been transformed….it seems like a miracle. I can now eat out, eat with friends, in a pub and in a motorway service station! I can eat pizza and chips! I am so grateful to Melissa for this unusual and truly effective therapy. I would thoroughly recommend anyone to try it if they are troubled by food intolerance in their life.